Traditional Azerbaijani families were used to be large. Preserving the basic family models over the history at times the country even left behind many countries in number of large families. In the 1970s an ordinary Azerbaijani family consisted of 7 or 8 children, while in the southern region of the country their number often reached 10-15 children. A desire of having many children in the family enjoyed support in society and particularly backed by state. If to delve into the nearest history we can see that changes in the state structure, transition to different economic relations and other facts had enormous impact on the tendency. For instance, an honorary title "mother heroine" in the Soviet Union awarded for bearing and raising a large family with 10 children, was abolished in 1990s after the collapse of former state system. After the independence mothers with four or five children were regarded as "mother heroine", enjoying definite social privileges. 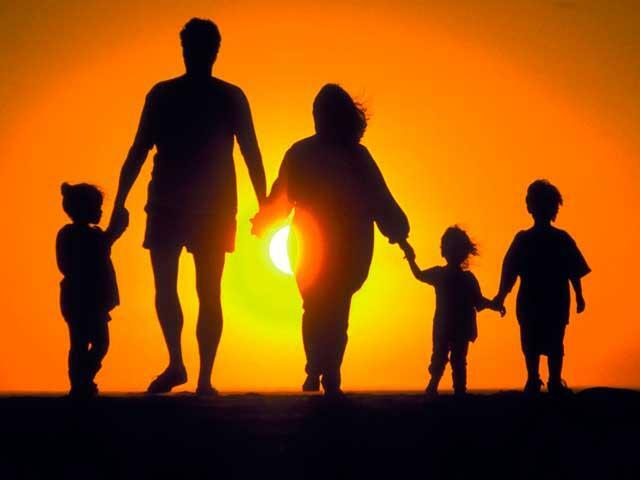 Today, a family with two children is the most common option in Azerbaijan and as a rule, parents consciously support this family structure, saying that their decision depends solely on financial causes. Aynur Veysalova, Chief consultant of the department of information and analysis of the State Committee for Family, Women and Children said that families with two or three children are dominating in Azerbaijan. However, the statistics says that in recent years the number of families with four or five children have increased in the country. According to statistics, the highest number of births in a family (five or more children) in Azerbaijan was observed in 1995 or 3.7 percent of children born in this year were at least the fifth child in the family. In 2000, however, the rate decreased almost twice. At the time 2.5 percent of newborns became at least the fifth child in the family. And three years later, 0.5 percent of all children born in 2013 were the family's 5th children. The statistics shows the growing trend, as in 2015 some 0.7 percent of all children born in Azerbaijan were the 5th in the family. What is more, previously, large families lived mainly in rural areas, but now the number of large families in the regions and cities is almost equal. With the growth of children in families, the number of the country's population also increases if to take into account that Azerbaijan is a leading European country in terms of natural population growth. As of September 1, the number of Azerbaijani population increased by 0.7 percent, reaching 9,775, million people. Experts believe that the population growth in each country depends not only on consciousness or mentality, but also the economic situation, medical advances, improved life quality and other factors contributing to the extension of life. According to the statistics for the eight months of 2014, a total of 106,500 children were born in Azerbaijan, 53.4 percent of them were boys and 46.9 percent, girls. The density of population in Azerbaijan is 113 people per square kilometer. The ration is 1,000 men to 1,007 women. Meanwhile, mother of many children in Azerbaijan has privileges, which is reflected in "On Labour Pensions" law. Women with five or more children, growing their children up to the age of eight years have a chance to retire ahead of time. Elman Babayev, Head of Public Relations Department of the Ministry of Labour and Social Protection said that mother of many children, who has brought up their children up to the age of eight years and had 10 years of work experience, can retire earlier than the term specified in the legislation depending on how many children she has. In this case one year per child is deducted from the real age of a mother. The same principle is applicable to a father who had to bring up children alone without a mother. Note that, currently, pension age for women is 60 years in Azerbaijan.